Home > Cool Davis > What does affordable housing have to do with climate change? What does affordable housing have to do with climate change? Throughout California, we are seeing two critical priorities converge: affordable housing and climate resilience. While daunting on their own, these intersections may offer helpful direction about how we might solve both problems. Adequate supplies of high-quality affordable housing and climate resiliency are inextricably linked. Any efforts to address housing demand will fall short over time unless we simultaneously ensure that housing development considers climate impacts, is responsive to security risks, and factors in climate-related economic consequences. As we maintain and grow our housing stock, existing buildings, should be retrofitted to be more resilient to heat and sea-level rise, and new developments should be sited in low-risk areas. Transit-oriented housing can serve as an important strategy for making communities more climate-resilient while enhancing low-cost transportation options. Increasing the resiliency of our housing is particularly critical in lower-income neighborhoods and underserved communities who have historically lacked adequate housing – because of long-term social disinvestment – and are at greater risk from climate-change impacts. Adding to our housing stock in ways that are climate-resilient can help reduce energy- and transportation-related pollution, slowing the effects of climate change and increasing resiliency to climate impacts, including extreme heat, while reducing economic burdens for residents. 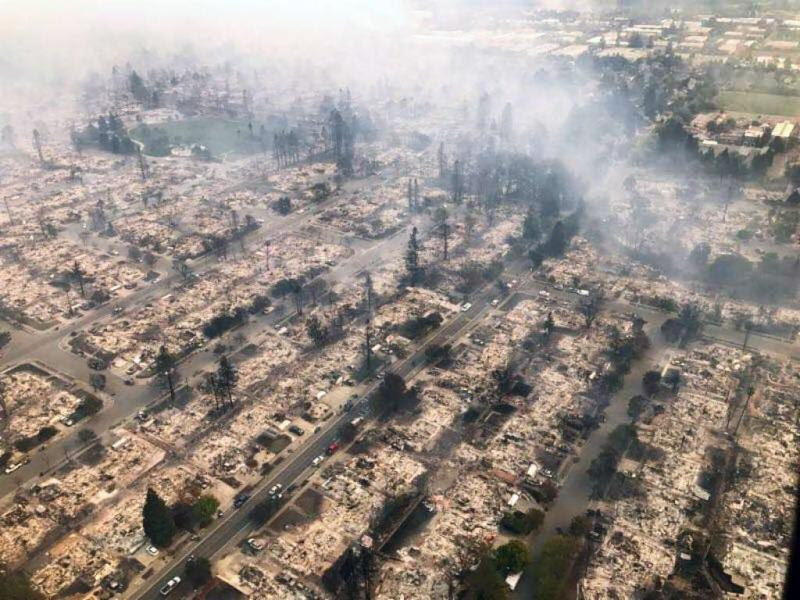 The city of Santa Rosa, in Sonoma County, alone lost 3,000 homes – fully 5% of its housing stock – in the Tubbs Fire. Thousands of residents remain displaced, and many are not sure where they will end up or whether they can continue to afford living in the region where housing is expensive and in chronically short supply. As the region rebuilds, the City are offering incentives for homeowners to build more resilient, zero-net energy homes through a partnership with Sonoma Clean Power, Pacific Gas and Electric Company (PG&E) and the Bay Area Air Quality Management District. By 2030, 60% of the world’s buildings will be new or rehabilitated construction, creating a significant opportunity to develop buildings that are more resilient to extreme heat, drought and storm events by using technology and design techniques to capture stormwater, reduce the urban heat island effect and conserve energy and water. “Climate change can seem like a distant threat for many people, and the idea of making communities more climate-resilient may seem a bit abstract compared to more tangible demands to find safe, affordable housing, reliable transportation, healthy food, clean air and water, and jobs that can sustain a family,” Meis said. A McKinsey Global Institute report estimated that California must build 3.5 million new housing units by 2025 to satisfy pent-up demand and meet the needs of its growing population. The housing shortage generates a housing affordability problem, exacerbated by growing income disparities. Nearly 6 million Californian households are unable to afford the cost of housing. In every metropolitan statistical area at least 30% of households (as high as 60% in some regions) cannot afford the cost of housing. Contact Khrystyna Platte (kplatte@lgc.org) for more information.